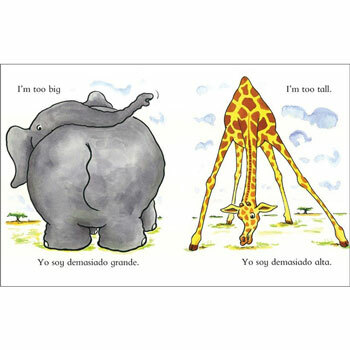 Soy demasiado grande / I’m too big is a dual-language book from the I Can Read Spanish series. The books in this series are aimed at young language-learners and use the magic of a beautifully illustrated story together with bilingual text to introduce young children to Spanish in a natural and relaxed way. In this story, Elephant and Giraffe are unhappy. One would like to be taller, the other shorter. One would like bigger ears, the other smaller ones. But finally they agree... they like each other as they are! I can read Spanish - Soy demasiado grande / I’m too big is aimed at young learners of Spanish. 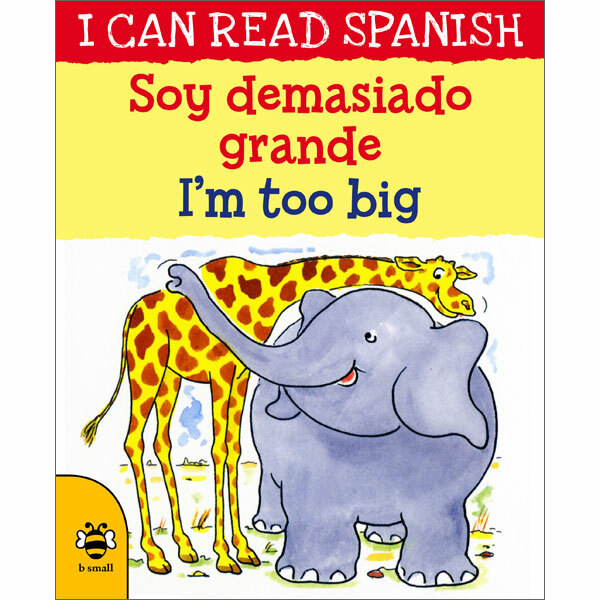 It includes support for parents with little previous knowledge of Spanish to enable them to enjoy this book with their child.